Why Use Extra Turns in Magic? Every turn in Magic offers you several chances to seize the advantage. You draw a card, untap your permanents, then proceed with your main phases and possibly a combat step; basically, most of your plays will come during your turn. Players can also only activate just one land with each turn, but using the rare spells that offer extra turns increases all these boons. 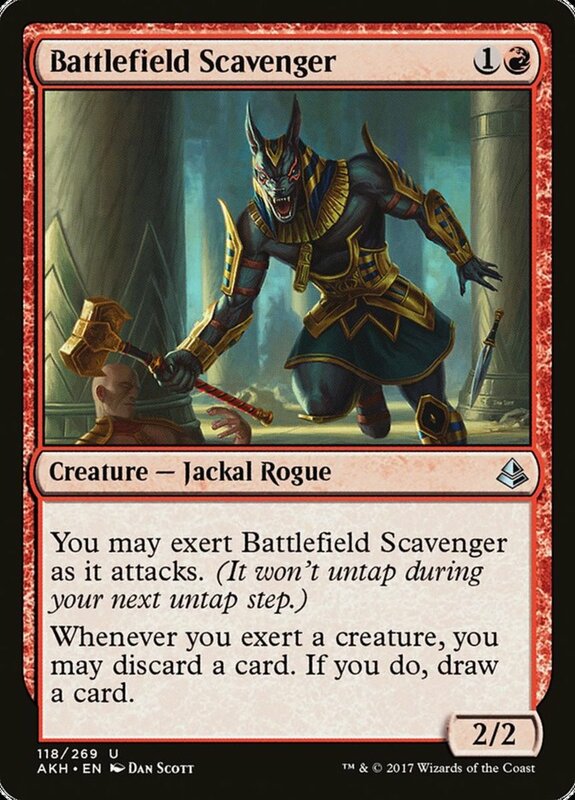 More draws, more untaps, more land chances, batttle phases, planeswalker abilities—all without giving your opponent time to recover. Understandably, most extra turn spells require a fair chunk of mana to cast, but you might be surprised by just how many shapes and sizes these fierce abilities come in. They're generally one-off sorceries that belong to the blue faction, yet we'll encounter a variety of card types that grant bonus plays. To see the best of the best, here are the ten strongest extra turn spells in Magic: The Gathering! 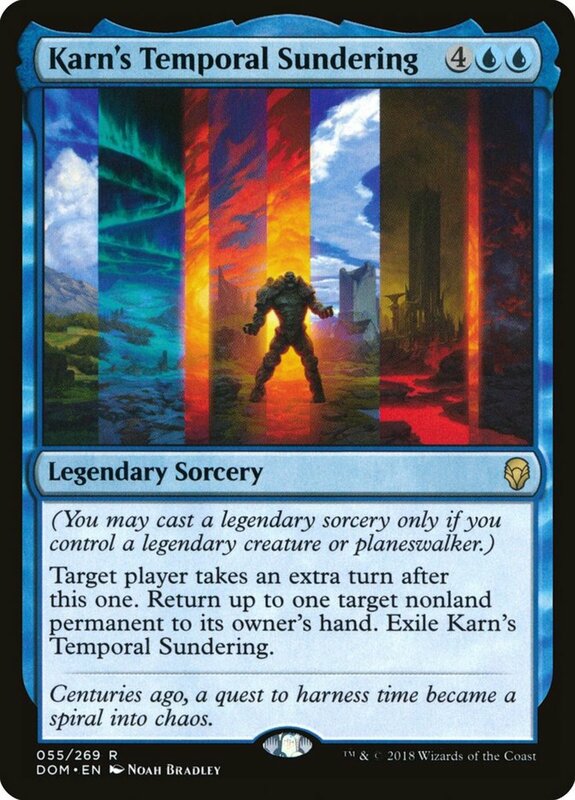 Karn's Temporal Sundering costs one more mana than the typical extra turn cards, and as a rare legendary sorcery, it can only be played while you control a legendary creature or planeswalker. Additionally, it'll exile itself after use, preventing graveyard recoveries. 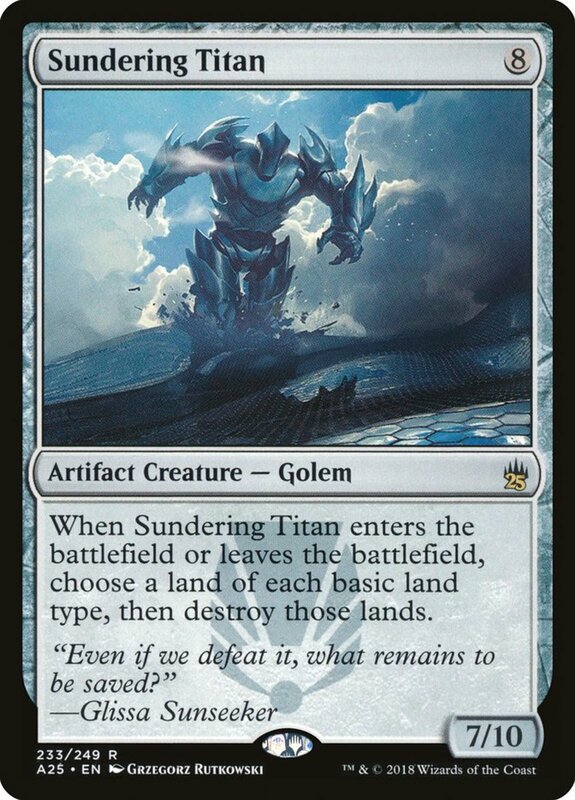 Despite these disadvantages, Sundering offers an amazing effect. Not only do you get an entire extra turn, devastating in itself, you also bounce up to one targeted nonland permanent back to its owner's hand, forcing them to waste time and resources recasting it. 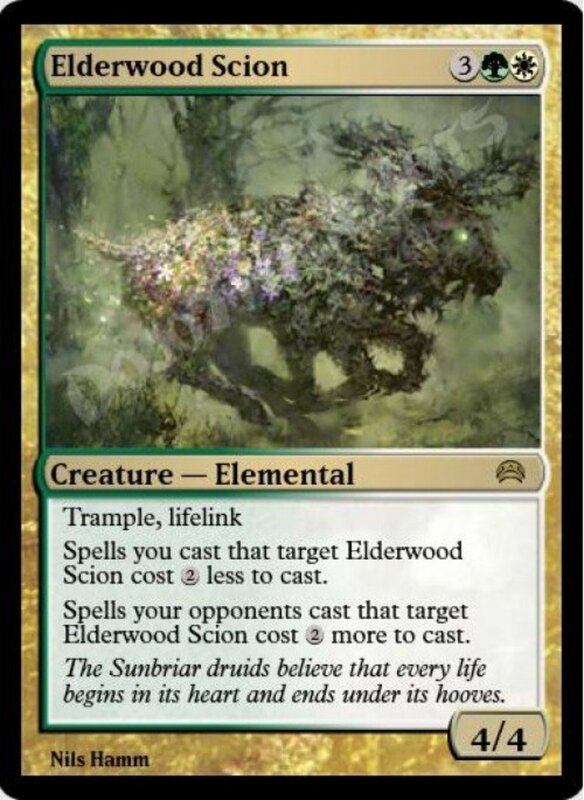 Since this targets, it can't impact units with shroud, hexproof, or protection from blue, but it's an awesome bonus on top of an already monstrous effect. As icing on the cake, since the bounce text impacts "up to one" unit, you don't have to return a card to the hand in the rare cases you don't want to.. 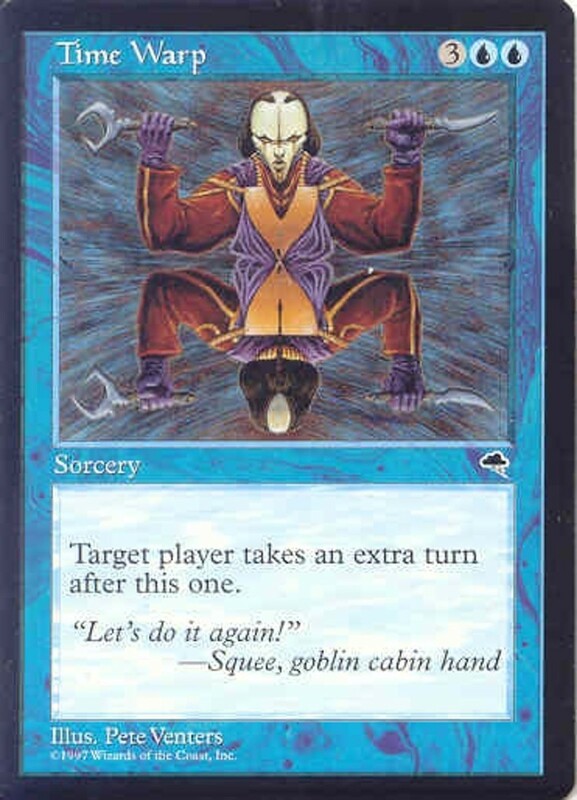 Honestly, this is the best extra turn spell, but we're ranking it lower because it's rightfully banned in just about every format, limiting its usefulness. Time Walk simply grants an extra turn for a stupendously low cost of two mana. This is less than half the five that would become the extra turn standard, and there aren't any drawbacks to balance it out. Heck, only one of the mana needs to be blue, so it's not hard to fit Time Walk in multicolor decks either. Short, sweet, and to the point, Time Walk can forever rest in the forbidden depths of the ban list, never to unleash its terrors on us outside of casual play. 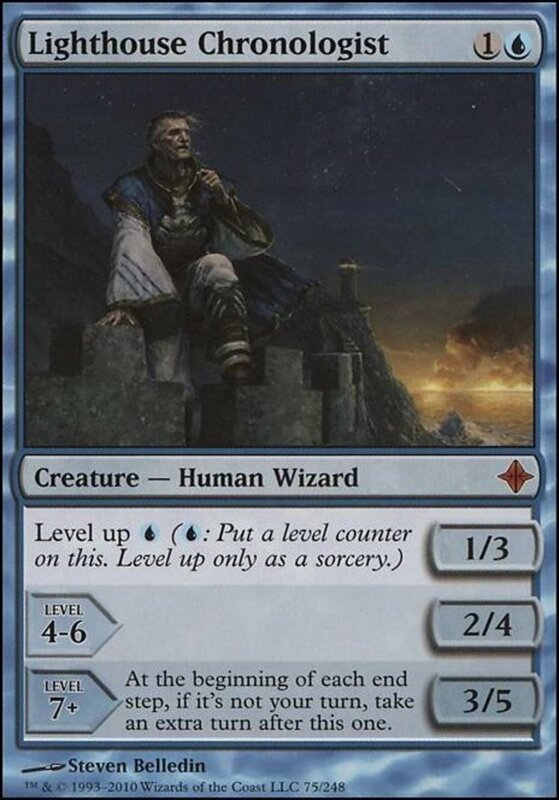 Arguably the best level up creature in the game, Lighthouse Chronologist only takes two blue mana for its initial summon, but like his kin, you'll need to "level up" with additional mana to access his best abilities. Thankfully, these level counters can be acculumated across several turns, making Chronologist a great way to spend leftover island resources. Chronologist begins as a 1/3 (one power and three toughness) unit, which really isn't bad for a two-cost wizard, and after leveling up four times, he'll improve to a 2/4. However, you really want to attain level 7 or above; at this point, not only does your sorcerer advance to a 3/5, he gives you an extra turn whenever another player's turn ends, a continuous and deadly boost that will help seize a late-game win. Use auras, artifact equipment, and instant counters to help Chronologist live to reach his zenith. 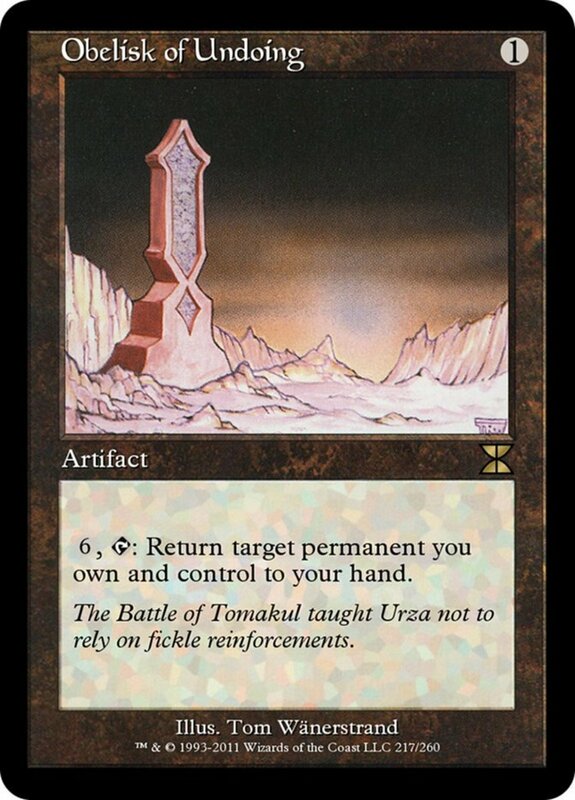 A rare non-blue extra turn engine, Final Fortune can be played used the mountains of red. 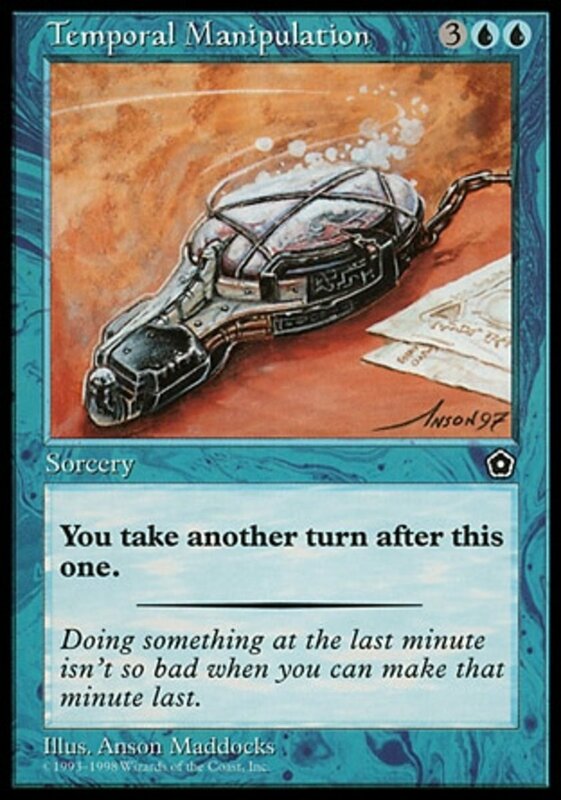 With the identical low cost of Time Walk, Final Fortune provides the same extra turn boost, and as an instant, it can be cast on any phase of either player's turn! However, you automatically lose the game and the end phase of your extra turn. Big risk, big reward—but you can mitigate your chances of defeat by comboing with creatures like Platinum Angel that prevent you from losing. 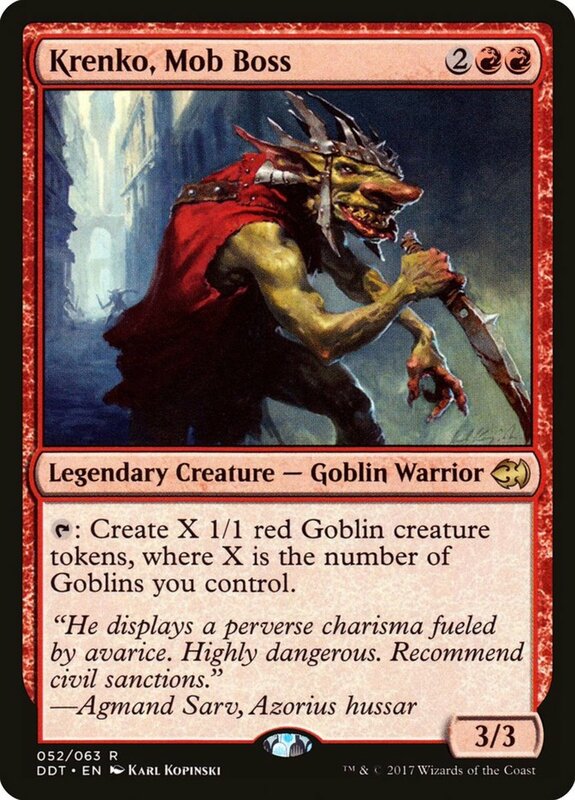 If you're playing commander and are limited to one copy of each card per deck, I'd also recommend Last Chance and Warrior's Oath, both red spells with the same cost and effect as Fortune, just slightly weaker due to their status as sorceries (not instants). Several planeswalkers offer an extra turn in their ultimate loyalty ability, but few can attain it as fast as Teferi's Timebender form. 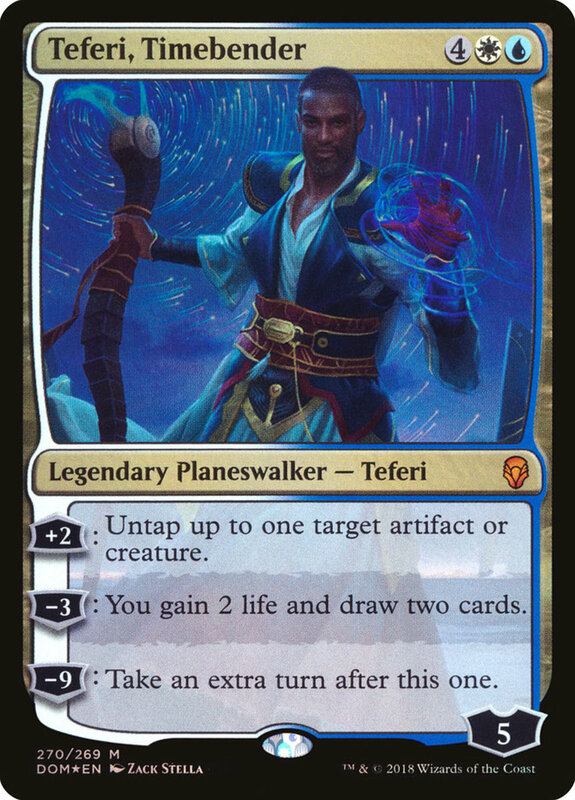 You'll need the islands of blue and plains of white to utilize this potent sorcerer, and he's not cheap at six mana, but Teferi arrives with five loyalty and three sweet abilities. 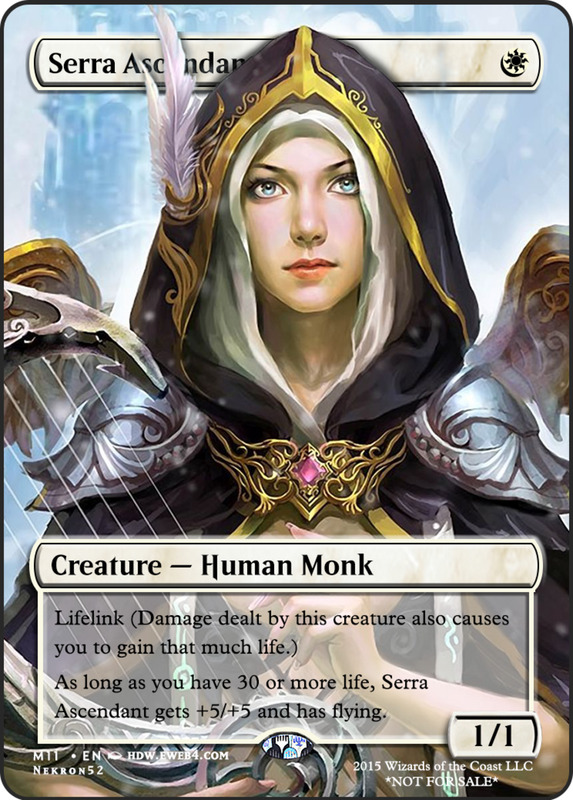 +2 loyalty counters untaps up to one target artifact or creature and -3 gains you two life and draws two cards. But we're most interested in the -9 ultimate, which simply lets you take an extra turn. 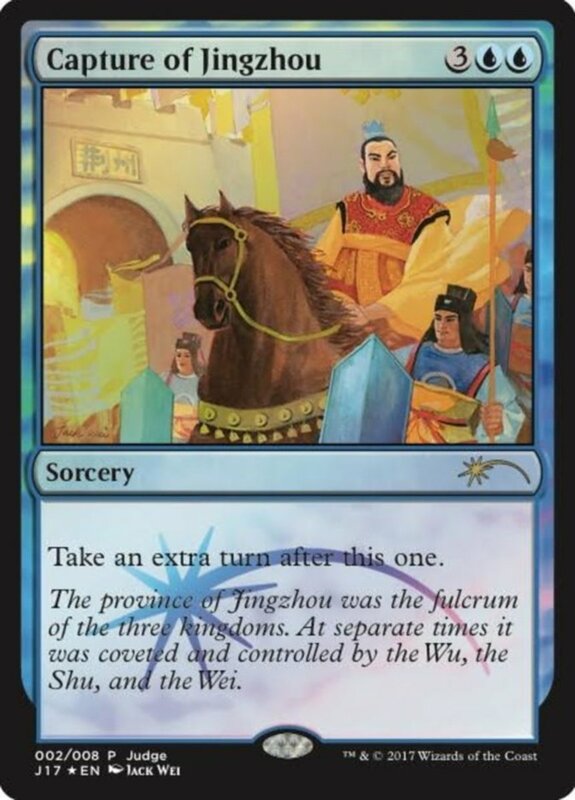 You can access this effect after just two +2 effects, much quicker than Teferi's peers, and if you have the famouns Doubling Season enchantment out when Teferi entered the field, he can both use his ultimate on his first turn and survive the subtraction with one loyalty left, allowing you to continue harnessing his superb effects in future turns—which you now have in surplus. With its vast mana cost of 10, playing Time Stretch under normal conditions isn't easy, making it a prime candidate for free-casting effects like Jhoira of the Ghitu. 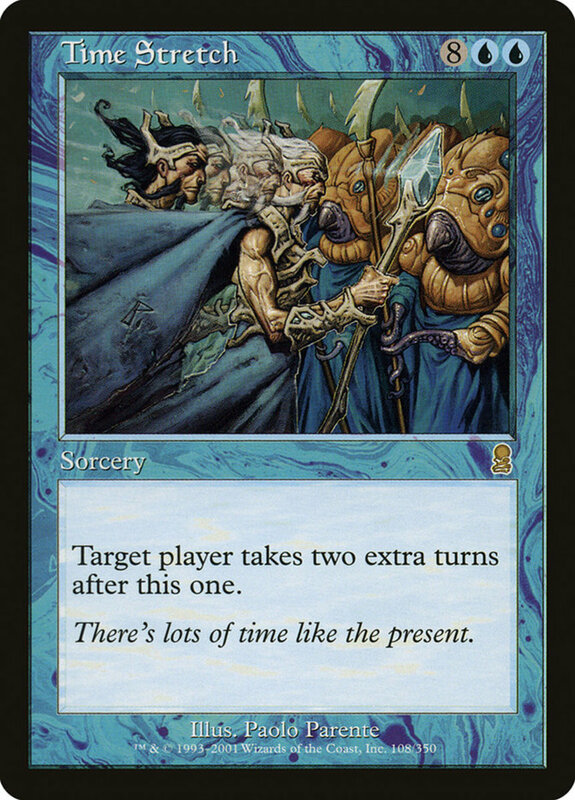 Still, when you finally get to resolve Time Stretch, it grants a target player two entire extra turns! You won't find many stronger effects than that, and since you can target players other than yourself, you can ever use Stretch on potential allies (perhaps when you need them to take down a mutual threat in a multiplayer match). In the faster games of modern format, you may have trouble activating Stretch, but the higher life totals of leviathan commander can help alleviate the issue. 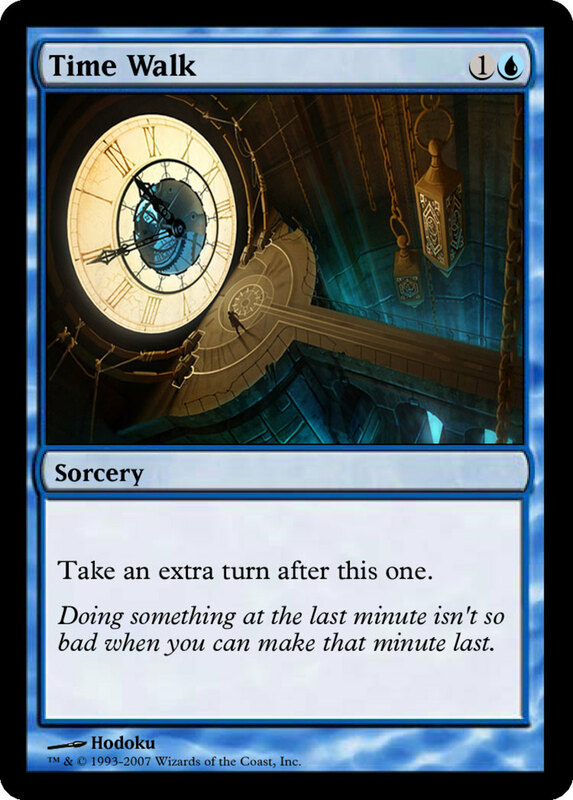 Like Time Stretch, Expropriate is one of the best sorceries in the game, offering a similar effect with a slightly reduced (albeit still extreme) cost. 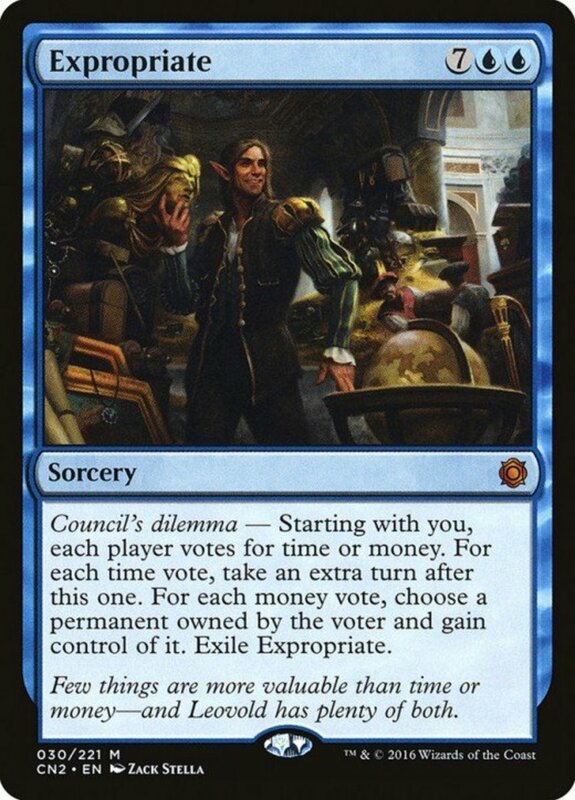 As a "Will of the Council" card, Expropriate has each player (including you) vote for time or money. Every time vote grants you an extra turn while every money ballot lets you gain control of a permanent owned by that voter. Since the tally includes yourself, you're guaranteed at least one extra turn if you pick time, and you'll also be gaining additional moves or pilfering cards based on what your opponents choose. A mighty spell in 1v1, Expropriate is truly deadly in multiplayer. 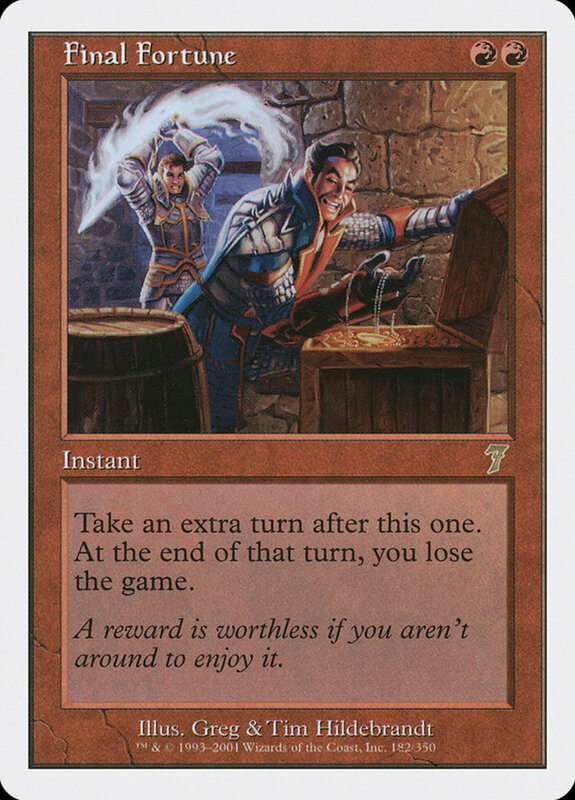 Savor the Moment grants you an extra turn at a reduced cost, and unlike Time Walk, it's legal in most formats. To balance out this benefit, you have to skip your untap step in the extra turn, preventing your dulled permanents from recharging. Sure, this limits your ability to cast spells since your lands won't untap, but you'll still have access to leftover resources. Additionally, you also have the extra draw and extra chance to play a land provided by bonus turns, so you're not as handicapped as it might sound. 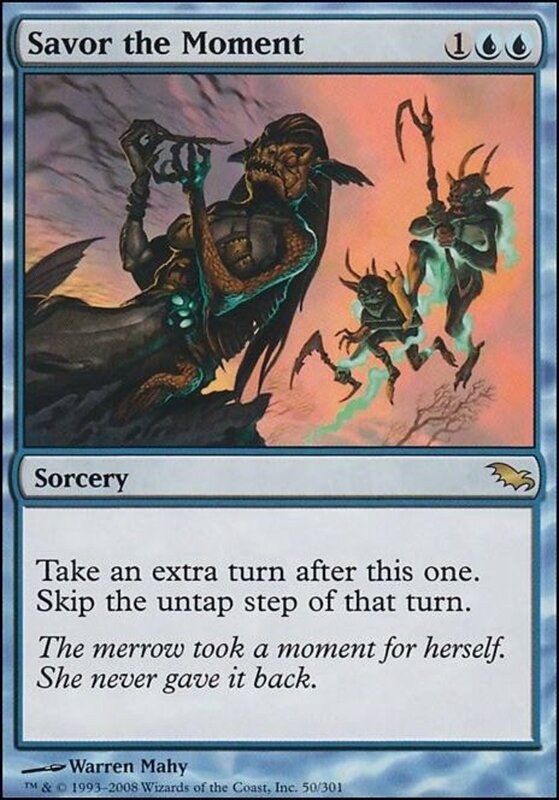 A nerfed but affordable effect, Savor the Moment offers extra turns even in the early stages of your duel. Here they are. The three blue sorceries with the exact same mana costs and effect: you simply take an extra turn. No additional gimmicks or fluctuating resource prices here; you pay a fair chunk of mana and gain your extra go. Remember, extra turns allow additional draws and lands, so if nothing else, you'll be adding to your hand and resource generation with them. 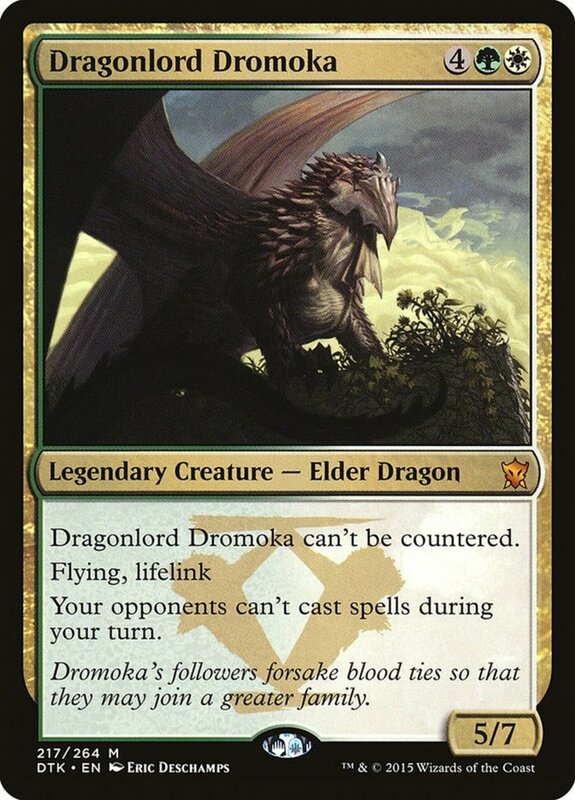 And with three cards granting the same boon, attaining one isn't too hard even in one copy of each card EDH format. Temporal Mastery's entrance fee of seven mana pales to the five-cost standard, and it exiles itself upon usage, preventing recoveries. Luckily, Mastery compensates with its phenomenal miracle effect, letting you play it for only two mana by revealing it as the first card you've drawn in a turn. Unlike other miracles (which can be situational), you'll constantly want extra turns, meaning Mastery's always a welcome sight on your turn's first draw. Use cards like Mystical Tutor to manipulate a Mastery to the top of your library, or Jace Vryn's Prodigy to set an opening-hand Mastery on top, rigging a miracle to your schedule and offering a fierce advantage even in the early stages of the game. 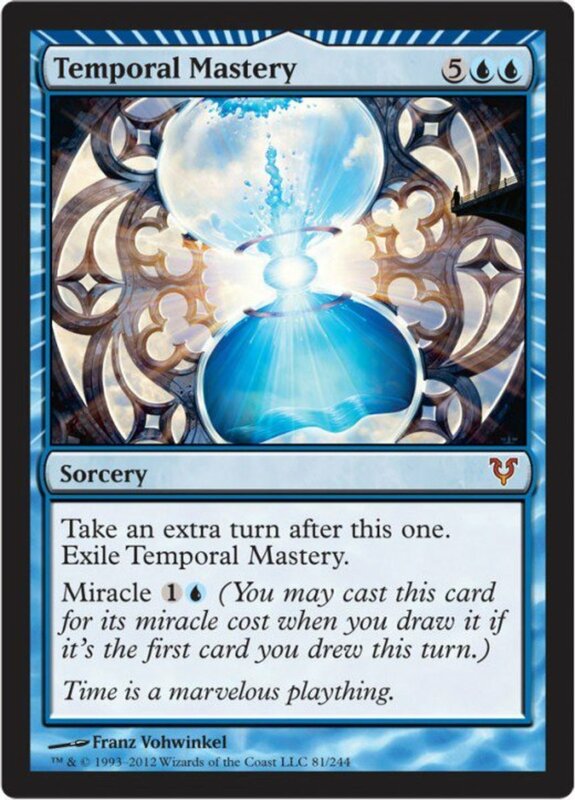 Temporal Mastery remains one of my all-time favorite Magic cards that I'd recommend for any blue deck, especially in EDH. It's not the cheapest card, costing around twenty dollars, but compared to the $100 dollar price range of its standard counterparts, Mastery's actually one of the most affordable and competitive spells in the game. Once a blue staple, extra turns have slowly branched out to other colors; we'll likely review the black and green options when we inevitably return to tackle more potent extra-turn spells. Regardless of which hue you use to obtain them, extra turns remain a game-changing tactic that drastically accelerates your strategy; what better way to win than to keep playing while denying your opponent their turn? But for now, as we eagerly await Wizards of the Coast's next expansion of extra-turn spells, vote for your favorite card and I'll see you at our next MTG countdown!